It’s hard to avoid the term Hashtag these days. It’s everywhere, from the news to prime time television. It shows up in magazines and even on billboards. As of June 2014 the term Hashtag was added to the Oxford English Dictionary, but many people still don’t know or understand this new term and what it means. Hashtag is a type of metadata tag or cataloging. When a Hashtag is added to a post on a social media site it allows that post to come up under a search for the phrase behind the # symbol. 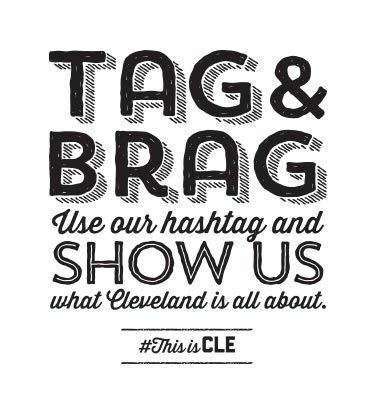 This great Hashtag just for showing Cleveland Pride can be a great first Hashtag experience. Going to the search function of any social media website and typing in a phrase like ‘Cleveland Browns’ will turn up results. Many of these results will appear because the post included #ClevelandBrowns of #Browns. A Hashtag can also be used to track up to the second news on a current event. Want to know what’s going on in the Emmy’s? Hop on Twitter and search Emmy’s to see the live feed of tweets tagged #Emmy’s. It’s great for sporting events or breaking news. American Express even uses special Hashtags to tweet for special discounts on items. Tweet with this Hashtag to get a discount with and American Express card. Hashtags are easy and useful to use but there are some things to keep in mind. Secondly, for Hashtags to work properly the phrase or name must be typed without spaces or puncuation. Thirdly, it is considered distasteful and rude to use more than three Hashtags in a single post. Reminding you to tag thoughtfully. Now go out there and get tagging!